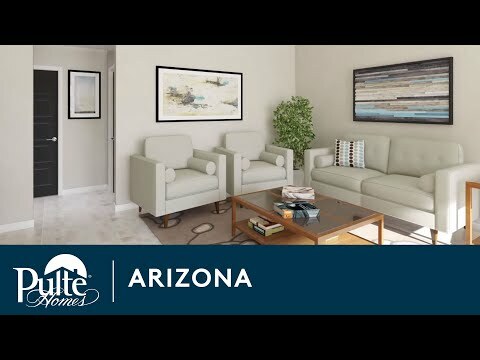 The vibrant and growing community in Buckeye is home to our collection of affordable new construction homes featuring open floorplans with thoughtful living spaces designed for everyday living. With an abundance of yearlong sunshine, breathtaking views, and a lifetime of new memories; you will be proud to call Blue Horizons your home. The life you want to live is waiting for you at Blue Horizons - Meadow Series. Explore this community and see for yourself. The thoughtfully designed one-story Hewitt features spacious bedrooms and closets along with open living spaces. The single-story Farmington offers an open gathering and dining room with the option of a cozy fireplace. The Fifth Avenue features a wide entryway, multi-use loft, and ample entertaining areas that flow off the open kitchen. The two-story Firwood design is built for families, featuring a first-floor Owner’s Suite with large walk-in closet. Life at Blue Horizons offers plenty of amenities with limitless opportunities to have fun while staying active. Enjoy making family memories while enjoying community parks and sports fields. If an active lifestyle appeals to you, then Blue Horizons is the place to call home. Located in Buckeye, Blue Horizons is only minutes away from convenient shopping centers, entertainment hotspots and sporting arenas at Westgate and Gateway Pavilions. With easy access to I-10 and Loop 303 freeways, access to the Phoenix Metro area is a breeze. Not to mention the stunning outdoor recreation and hiking trails of Skyline Regional Park. Blue Horizons is in the middle of it all, while still being a quiet retreat to call home.